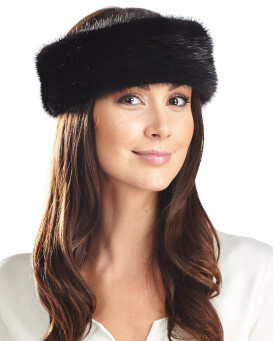 Soft, silky Mink Fur provides amazing warmth and softness with this sensational black tubular cowl neck warmer. This beautiful scarf wraps completely around your neck to seal out the cold while adding texture and depth to any sweater, coat, or jacket. One size fits all, so no guessing of measurement necessary - Pamper yourself or someone you love with beautiful warm luxury. 4.0 / 5 from 12 customer reviews. "Excellent finish to match cuffs and hat. So toastie warm. Arrived within a week, wonderful service." "This scarf is terrific - lightweight, warm and pretty. I've never bought anything like it so was a bit surprised at the inside, it was like a crochet net (that all the fur on the outside is sewn into?) That was just a little weird to me, I expected it to be fur inside and out. It arrived quickly and the mink is beautiful. Love it!" "Arrived very quickly and was all that we hoped, this is a Christmas gift to a friend who we know will absolutely adore it. So pleased with the product would place further orders." "Beautiful! 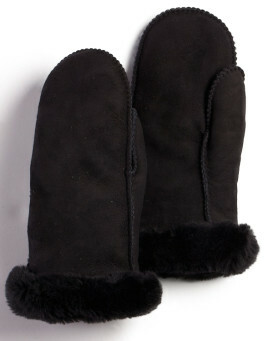 Great for additional warmth! It can also be worn as a hood!" "It was beautiful, light weight and arrived very quickly. I sent it back because it was too itchy. Too bad." "The quality is fine, only the size is a bit diferent from picture, it is smaller and a bit itchy as well, but nice and warm anyway!" "Beautiful scarf. 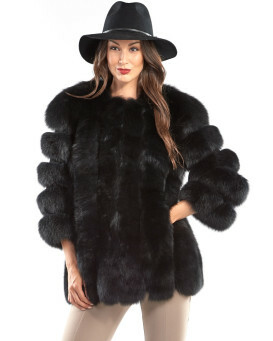 Excellent quality but I found it itchy so I returned it for the Fox fur scarf which is also beautiful and very very soft. Fabulous service as always."